The electric vehicle market in India is bustling with activity. Most recently in September, India’s largest power company National Thermal Power Corporation (NTPC), India’s largest power company, stated its intentions at the fourth Annual General Meeting: building a strong presence in the electric vehicle charging infrastructure market. Months ago in June, it set up electric vehicle charging stations in its offices in Delhi and neighboring Noida. NTPC has also stated plans for setting up another 20 charging stations, with initial focus on the New Delhi Municipal Corporation area. It was also reported that NTPC had started work towards seeking a pan-India license to set up charging stations, with a focus on providing battery banks to facilitate swapping of batteries. This plan assumes significance further due to their reported plans to link its renewable energy business with the charging infrastructure. This interest in the electric vehicle sector has grown wider. On August 21, 2017, Tata Power launched its first electric vehicle charging facility at its Power Receiving Station in Vikhroli, Mumbai. The station, set up in collaboration with Mass-Tech Controls, intends to provide facilities for electric car users to charge their vehicles at any time. Tata Power has also stated plans to set up charging stations at various locations in Mumbai. Nagpur in Maharashtra already has the distinction of being the first Indian city to have such a station, with ACME setting up and launching India’s first charging station and battery swapping facility in May this year. 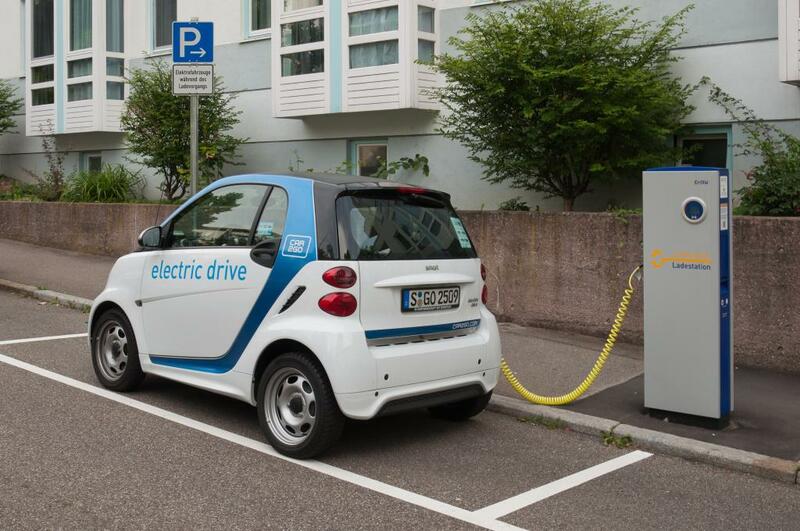 Oil companies are also taking steps to enter the charging station business in India. Reliance Industries Limited is reportedly exploring the option of setting up charging stations much like proposed liquefied natural gas stations at its fuel retailing outlets, while simultaneously entering the energy storage business with its partner BP Plc to cater to wind and solar energy projects. State-owned oil marketing companies (OMCs) are also taking note. The companies have been identified as important stakeholders in the National Electric Mobility Mission Plan 2020, and will certainly have a role to play in achieving the ambitious plan of all-electric mobility by 2030. Indian Oil, HPCL and BPCL have started to explore plans to introduce battery manufacturing and charging facilities, and see it as complementary to their core business. Oil majors of the world are making swift moves, realizing the potential strength of the electric vehicle market. Earlier this year, Total SA, one of the world’s biggest oil producers, is now saying EVs may constitute almost a third of new-car sales by the end of the next decade. Falling battery technology costs is driving the trend, with market watcher Bloomberg New Energy Finance noting that over 35-40% of new cars globally will be electric vehicles. Shell had similarly revealed plans to set up battery charging facilities in identified markets, with immediate focus on Britain and Netherlands. Last year, Tesla had launched Supercharger stations in New York, tying up with a local fuel station chain, and had initiated dialogue with other chains to create a country wide network. This voluntary action is in line with regulatory action taking place in other countries like Russia, which made it mandatory in 2015 for owners of gas stations to install charging equipment for electric cars at their gas stations by November of 2016. The announcement of plans by large energy companies in India towards building charging infrastructure is a welcome move. Charging infrastructure has a pivotal role to play in the government’s target of electric mobility for all by 2030, and is also identified as a barrier to achieving the goal, both financially and logistically. The government has already initiated plans of deployment by releasing a tender through Energy Efficiency Services Limited (EESL) for 10,000 electric cars and 4,000 charging stations in Delhi NCR in the next eight months to demonstrate its seriousness and exploring viable business models. Big energy companies like NTPC, Indian Oil, and others have the financial bandwidth to build the infrastructure on a large scale, which in turn can bring down costs of the charging stations. These companies can also potentially demonstrate viable business models of operation alternative to the EESL initiative, thus spurring true market competition. The broader electric vehicle push can be linked to India’s plan of having a solar power capacity of 100GW by 2022, whereby charging stations can be powered with the help of electricity generated through solar energy.